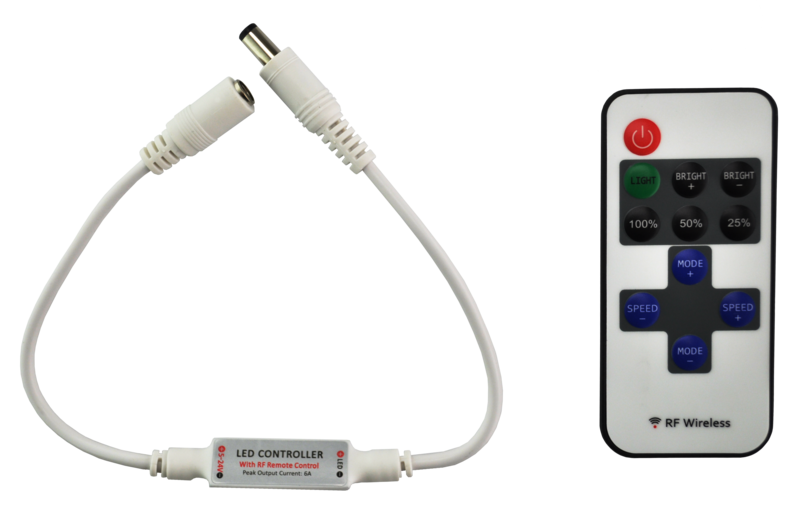 An inline plug-and-play dimmer with radio frequency remote control pad designed for LED lighting applications. It is so tiny that it can be installed anywhere by simply plugging-in between the power adapter and LED lights. 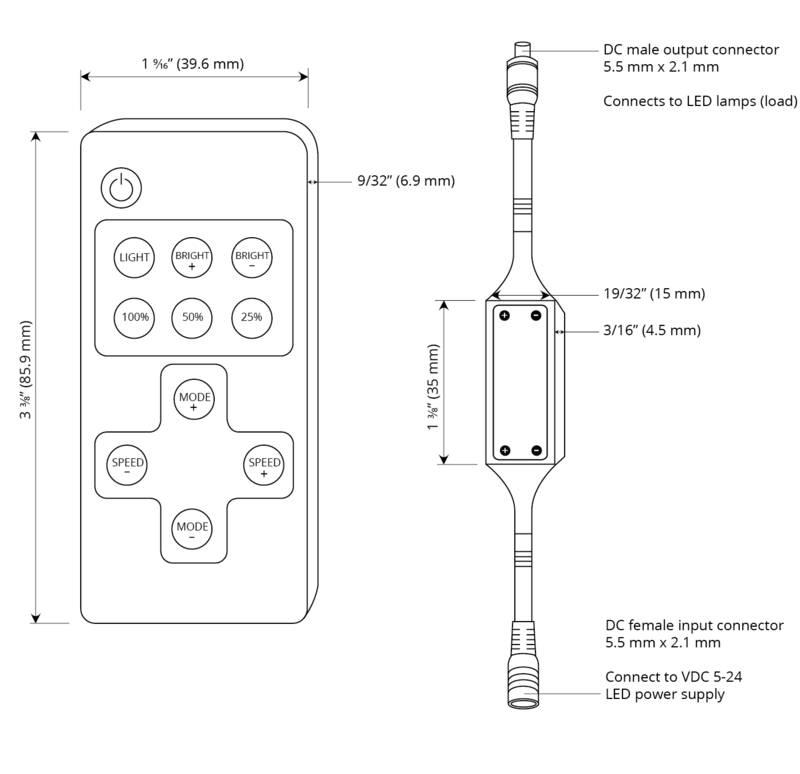 The unit has built-in static dimming modes, and dynamic control modes such as quick flashing, fading in/fading out, stroking, and flickering with speed adjustment. The settings are memorized even after the main power is turned off.